*This post has been written in partnership with March of Dimes and The Motherhood as a part of the #ImBornTo campaign. All opinions are my own. I’m one of 39 bloggers (39 - representing the length of a full-term pregnancy) joining The Motherhood to share about the importance of the March of Dimes. I'm so excited to be sharing information on how you can help support the March of Dimes and their #ImBornTo campaign. But... before I do that... I just thought I'd tell you a very shortened version of Zoe & Ana's births... because when I think of March of Dimes... I think of babies! This campaign has really had me thinking about Zoe & Ana's births. While neither of them made it to their due dates... they weren't, by any means, premature . I didn't really have a "birth plan" for either of them... but neither of them came as I planned. It seems that both of the girls decided to show us, from day 1... that they would do things how they wanted to do them, and generally, they would both have very different ideas on the best way to do things. With Zoe I just planned to go into labor, go to the hospital, get an epidural, push out a baby. No birth plan beyond that. So... 4 days before my due date, at about 4pm, I had my first contraction. About an hour later, at 5pm, my water broke. About an hour later, at about 6pm, we were at the hospital. About an hour and some serious contractions later, at about 7pm, they "checked me" for the umpteenth time, and found I was 7 cm... but there was no head... there was a tush. They did a quick ultrasound check and confirmed that Zoe was breech. So... c-section it was. Zoe was born at 9:54 pm. 6 hours from first contraction to baby. (We were warned that in the future... we better head to the hospital pretty quickly when laboring a next baby!) Yep... Zoe's birth was her way. I figured I'd done the experience of labor and water breaking and contractions beyond 7cm. 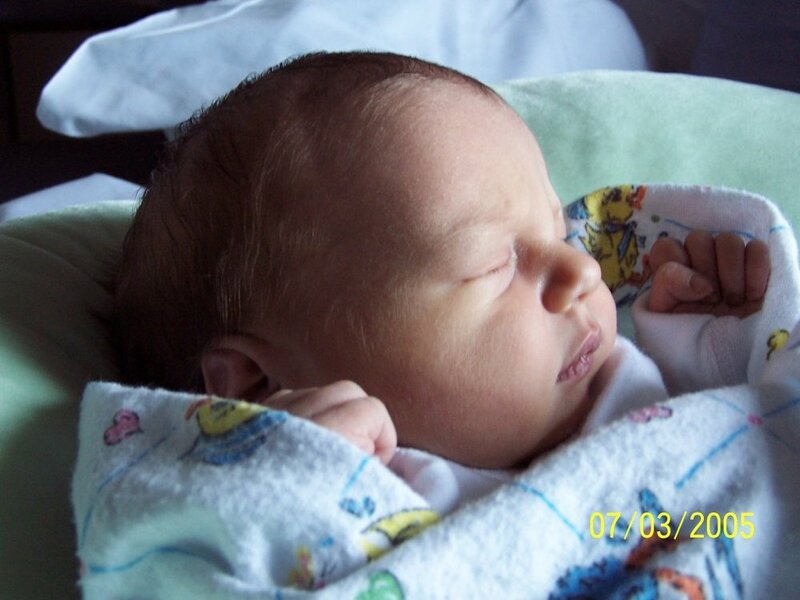 I was lucky to have a pretty uneventful and quick recovery from my c-section with Zoe. When our doctors asked if we wanted another c-section with Ana, or to attempt a VBAC (vaginal birth after c-section) I didn't feel like I'd be missing anything by having a scheduled c-section. (The control freak in me kinda LOVED the idea of a planned date & time.) So, we marked our calendar for 1 week before our due date and planned for our c-section. One week before our c-section date... my parents were visiting and had left for the evening. We were sitting down to eat dinner. I was feeling a little "meh". I had one bite of pork, one bite of peas, and one bite of noodles and decided I just didn't feel like eating. After dinner, Nick and Zoe went into the basement to play some music. I spent some time feeling icky... and having a couple cramps... and thinking... "there's no way I'm in labor, I have a c-section scheduled next week". I spent an hour like that before yelling into the basement "I think we need to get my parents back here." Nick yelled up "why?" I yelled down "I think I'm in labor." He yelled up "but we have a c-section scheduled next week." I yelled down "I've been thinking the same thing for an hour. NOW CALL MY MOM." My parents came back to stay with Zoe, and Nick and I went off to the hospital. After spending an hour in denial (after being told to get to the hospital ASAP after such a fast first birth) my contractions got REALLY strong and REALLY close together REALLY fast. We got to the hospital and let them know we had a c-section scheduled and wanted to go ahead with that plan. The hospital nurses and staff went to work getting everything set up. My doctor came and said she was going to get a quick dinner and meet us in the OR for my c-section. The anesthesiologist came in to chat before getting started. He checked out my chart... looked at me and said "You ate dinner? You can't have a c-section." I think I cried then, and may have babbled about how I was "supposed to have a c-section". My doctor came back to find out what was going on. She said she could sign off on approval for the c-section if I REALLY wanted to go that route. But... the nurses checked me at that point... and said "honey, you're at 8cm, are you sure you don't wanna just push this baby out?" I begrudgingly agreed. So... VBAC it was. Shortly after... Ana was pushed out into the world at 12:41 am. So again... about 6 hours from first contraction to baby. And again, Ana's birth was her way. While I didn't get the births I planned for... I did get two healthy baby girls. The March of Dimes is helping more moms have full term pregnancies and healthy babies. For more than 75 years, the March of Dimes has helped babies be born strong and healthy through research, vaccines, education and breakthroughs. The March of Dimes #imbornto campaign celebrates the great things babies are born to do and thanks mothers and fathers who are the guardians and protectors of babies’ hopes and dreams. From Mother’s Day to Father’s Day, the March of Dimes encourages consumers to shop, donate or take part in partner promotions to support the cause. 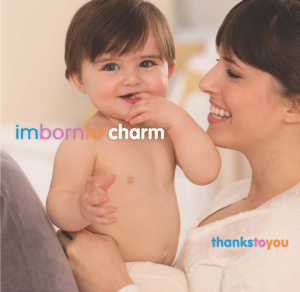 Visit imbornto.com to learn more about special Mother’s Day and Father’s Day offers from our #imbornto partners. Your generous gift to the March of Dimes funds important research and programs that help babies begin healthy lives.